One of the leading homeschool challenges for busy parents is keeping the house organized. Whether you have a homeschool room, designated for learning or you spread your learning throughout the various rooms in your home, it’s easy for things to slowly become disordered. If left too long, what was simply disorder turns into disaster. I talk a lot about attachment. How to build attachment with your children. How to help a child who is too attached to screen time or friendships more than family. There’s some attachment issues happening with organization. It’s a matter of the heart and hearing it might be a bit hard to swallow. 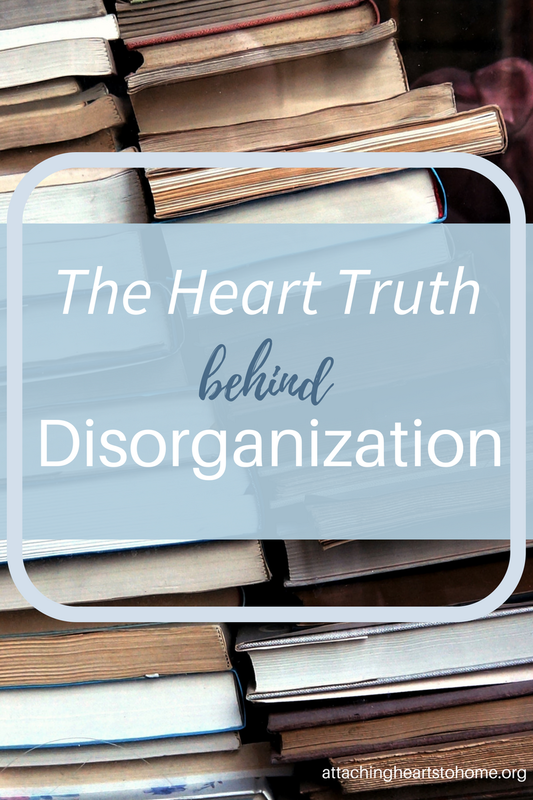 Here’s some heart truths about disorganization. I regularly go through our stuff and move some of it on. I breathe easy when I do. It feels wonderful. Over the years I’ve worked on making sure I don’t get too attached to things. I’m the sentimental sort and connect possessions with memories. 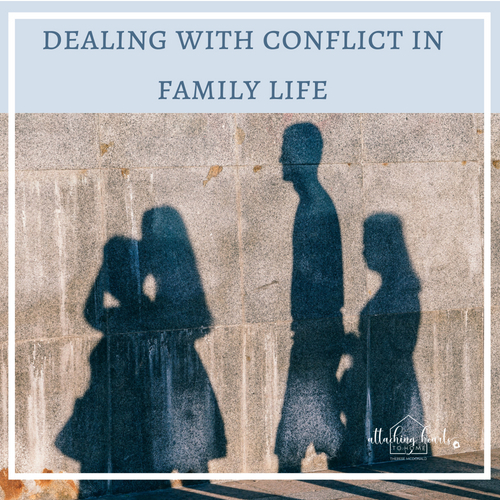 It is especially hard to let go of things associated with family. A card that has my mother’s handwriting on it, or my father’s signature, is a beautiful thing to me. I don’t need 10 of those keepsakes, though. I can keep a single pair of little socks a son or daughter had as a baby, and that will do. Attachment to things can be powerful. We hold on to them because they become matters of the heart. Some precious items get handed down through the generations; a tea cup, a set of hand tools, or a pocket watch. These attachments are a lot healthier than those that form out of greed or hoarding. Addictive or senseless buying is becoming a common problem. I met this past year, four ladies who shared with me their addiction to shopping, specifically online shopping. They have things piled in rooms that have never been unwrapped and clothing with the tags still hanging after more than two years. They have duplicates items, or have taken garage sale shopping to the extreme, making it such that there is no room in the garage to park. This compulsion to obtain and keep stuff hurts the mind, soul, and body. Clutter and accumulation, crowds our sense of freedom, distracts us from what matters, displaces people from being our primary focus, and ultimately leaves us empty. We are created free and are designed to remain free. Clutter and disorganization disorients our sense of freedom. We yearn for it, but it is fettered and obscured by all that "too much" or "too muddled". When we lose freedom, we either fight back to regain it, or we are defeated and subservient to the enslaver. The good news - we have a choice. How about making more room, period. Go through each room and make some decisions – Sell? Give away? Throw out? Keep? Make it a spiritual act. Pray your way through it, making more room in your heart for the Lord. Simplify. Unburden yourself. You really do know deep down what is important to keep and what is not. How about a five day challenge? Five days, Five rooms, and five times of prayer. Engage your family in the activity. Pray and purge. With God’s help, we want to be detached from the things of this world, and keep heaven as our true treasure. I’ll pray for you in this; please pray for me. Needing a helpful solution on how to cut down the clutter? Try Therese's tried-and-tested method to simple organization.